1951 showing the new Q65A in Woodside yard. 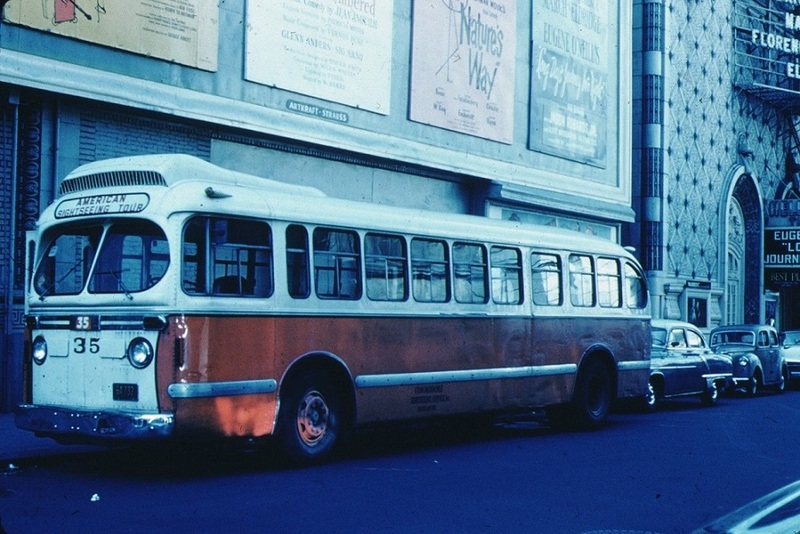 It's a nice shot, thanks for posting it, but that bus certainly does not appear "new"....or is it the route that is new at that time? You're welcome. The photo was taken in 1951 so the route was new at the time having started that November. 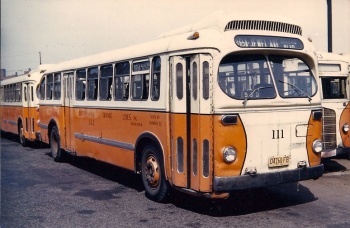 Former Queens-Nassau Transit ACF C-44 renumbered to 35 and working for American Sightseeing tours. The complete panel below the windshield seems to be taken off a GM old look.